This one is for the ladies. 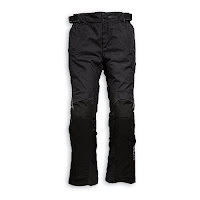 We've produced a ton of gear guides, winter-related and otherwise, for the gentlemen (granted, there is some mens product that crosses over to the ladies segment) and to-date we have not done anything exclusively for all the female motorcycle and scooter riders out there. Until today. 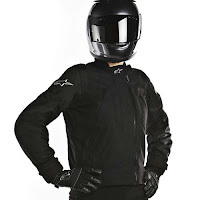 We scoured the RevZilla.com product lineup for our favorite cold weather gear for women. What we came up with is four full jacket-and-pants combinations in addition to three of our favorite ladies' cold weather jackets that pair up extremely well with jeans. You'll find a combo for every application: ADV Touring, Sport Touring, Everyday and Urban riding styles. Check out the Cold Weather Womens Gear Guide below to see all our picks for the best-of-the-best women's outfits for cold weather riding. and flexible fit in addition to reinforcements in the impact areas. 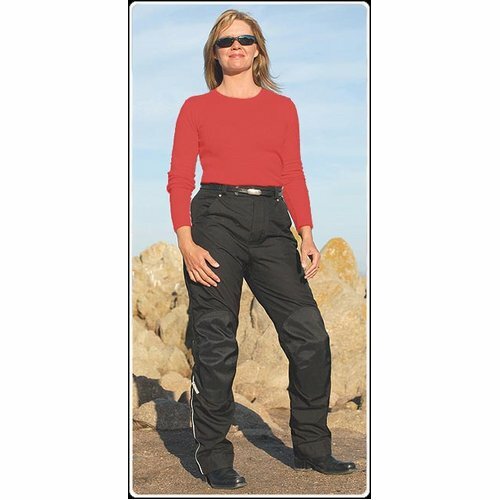 in a pair of motorcycle pants. 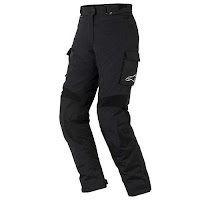 One of the sportier combinations in our mix of women's gear, the Alpinestars Stella Sigma Drystar Jacket couples with the Alpinestars ST-5 Drystar Pant for an all-season completely weatherproof outfit. 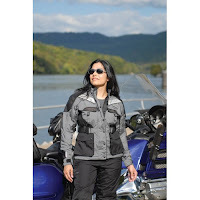 The Stella Sigma jacket is an excellent choice for the woman whose preferred application is Sport Touring. 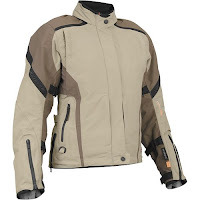 Specifically cut to form-fit a woman's shape, the Sigma has Alpinestars proprietary Drystar waterproof breathable membrane to deny entry of any form of precipitation in addition to a removable thermal liner that expands the temperature range of this jacket. There is CE rated shoulder and elbow armor with a PE back pad that is easily upgradeable to the RC back protector from AStars. The small details, like the neoprene-lined comfort collar and the tastefully subtle rubber and embroidered logos, are what set the Sigma apart from the rest. 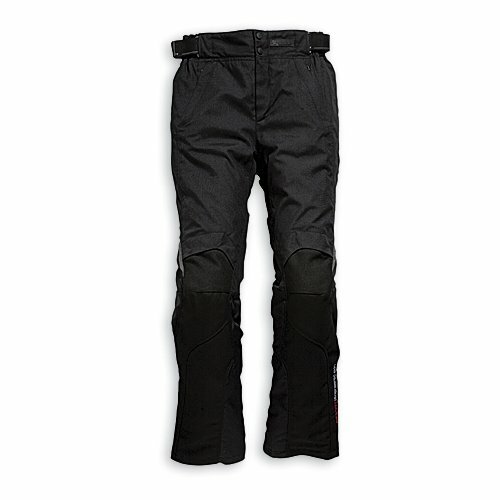 The Alpinestars Women's Stella ST-5 Drystar Pants are constructed from durable 660D taslan and nylon fabrics reinforced with a PU coating. The womens-specific fit is complemented by appropriately placed stretch panels that assist in accommodating a woman's shape. 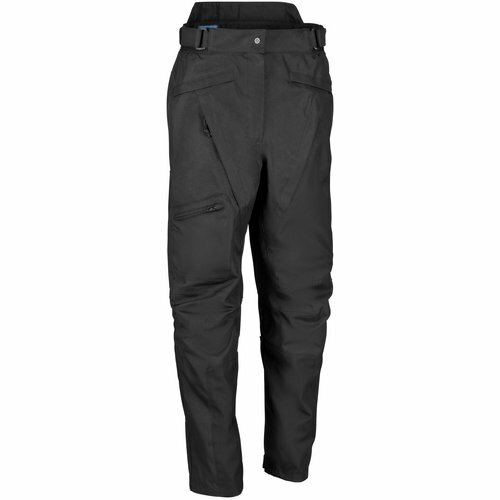 As with the jacket, there is a built-in waterproof breathable Drystar membrane and a removable thermal liner in the pants for insulating and weatherproofing. CE rated Smart knee and shin protectors with removable PE hip padding provide protection while reflective piping adds to the safety elements. openings. This is an excellent sporty combo from AStars. with a silicone grip that will keep water from coming up the leg. standalone as a comfortable destination layer. the bottom hem offering up to six inches of trimming. The REV'IT! 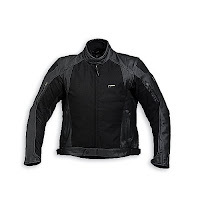 Women's CR Textile Jacket and REV'IT! Women's CR Leather Jacket are great sport-style choices for the woman rider inspired by that classic retro quality. 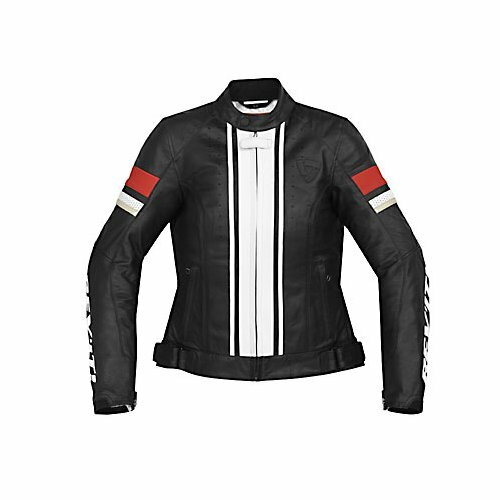 Featuring a bold racing stripe down the center with additional vintage striping on the sleeves and back, the CR jacket has just as much safety and protection as it does style elements. The textile version is built with high-denier PWRShell while the leather version utilizes Augustini cowhide. Both jackets have CE armor while the leather version has upgraded ProLife protection. For multi-season functionality, these jackets have removable thermal vest liners to keep you warm. We paired the textile version with a pair of REV'IT! 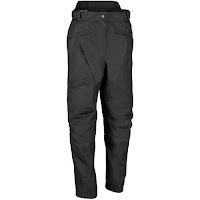 Factor pants and modeled the leather version with a pair of jeans. These jackets perform great and look super-stylish off the bike. 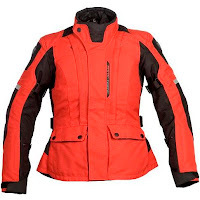 Two other ladies' jackets that we featured with jeans are the brand new to RevZilla.com GoGo Gear Military Waterproof Jacket and the three-season leather/textile REV'IT! Women's Ignition Jacket. GoGo Gear's mentality is fashion first, engineer the safety features into the style. 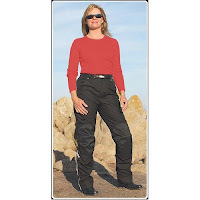 And they succeed across the board at providing high-fashion protective motorcycle gear for the woman rider tired of wearing boxy-cut, unisex gear. The Military is built on a 600D chassis with an integrated waterproof breathable membrane and CE rated shoulder, elbow & back armor. And of course, the fashion elements speak for themselves with the supple fashion fabric and stylish faux leather piping. 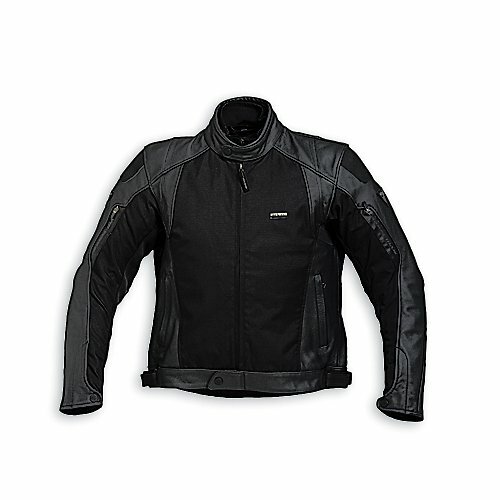 The Ignition jacket is Monaco leather with REV'IT's durable Dynax mesh on the exterior with a removable Hydratex waterproof breathable membrane. Upgraded ProLife CE armor is in the shoulders and elbows with a temperfoam back pad upgradeable to CE level 2 armor. There is stretch paneling throughout the jacket for comfort and a detachable thermal vest for added temperature versatility. These jackets are probably the most stylish and urban-riding of the group.